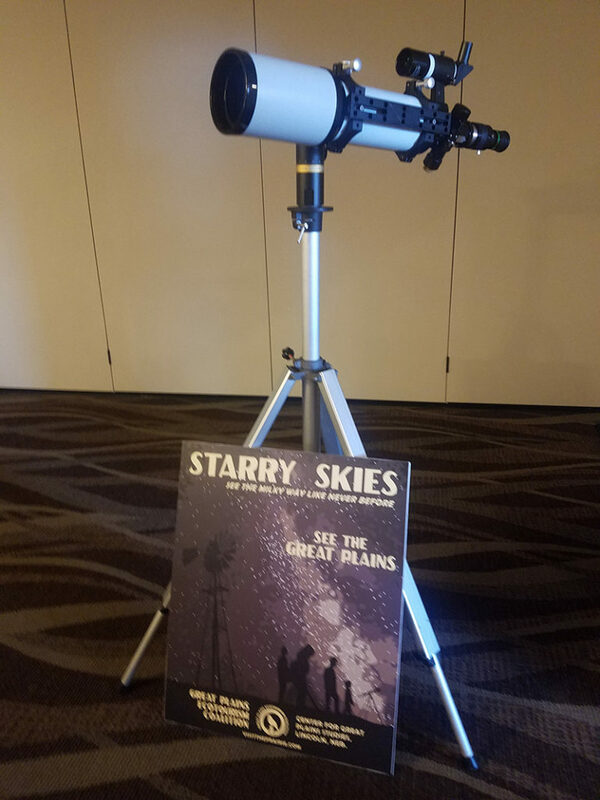 We’ve often spoken about star gazing as a tourism possibility for the Great Plains, and the keynote presentation at the 2019 Nebraska Agri/Eco Tourism Workshop focused on that concept. Michael Marlin has been a dark sky advocate for decades, developing a creative show Luma: Art in Darkness as a platform to talk about the power of darkness. In a time when so many people live in cities, constantly surrounded by lights, they are starting to rediscover the night sky. The New York Times, The Guardian, AirBNB, and industry experts are touting this rediscovery as the next big area of tourism and calling it astrotourism. “Many of us in the Great Plains take these skies for granted,” Marlin said. “A dark sky is in its own way exotic. And dark skies give tourists a concrete reason to extend their stays by one or more nights.” The travel industry has been quick to respond to consumers. You can search by night sky areas on several websites, Marlin noted. People are interested because many living in the cities have never even seen the Milky Way. This resource can be tapped into without much capital investment, which makes it a good add-on for ecotourism providers, especially when there’s an event like a meteor shower, comet, or an eclipse. Marlin suggested the SkyView app for smartphones that guests can download to help identify constellations and other features of the night sky. For more information on dark skies, visit the International Dark Sky Association. Committed to promoting environmental conservation through nature-based tourism in the Great Plains.